We hosted events where light exercise was infrequently implemented, once every 2 weeks, for 4 months. 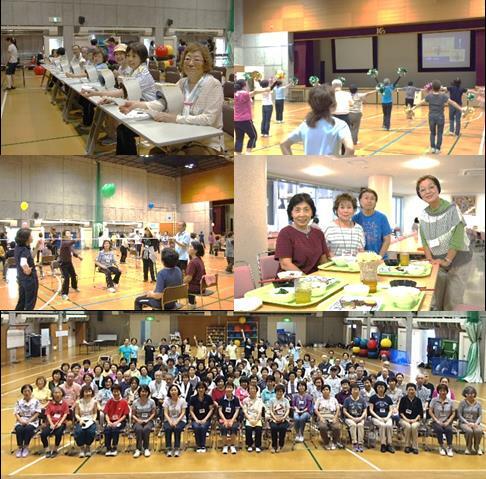 The events were held as a class for group exercise “Session 25 in new sports college” aiming at middle aged and elderly persons with a wide spectrum in age and body strength, in which participants without much body strength could safely join because only a low burden was required in the activity. We measured and investigated the body strength and ADL before and after the events for the subjects comprised of 56 persons (men 9 and women 47). 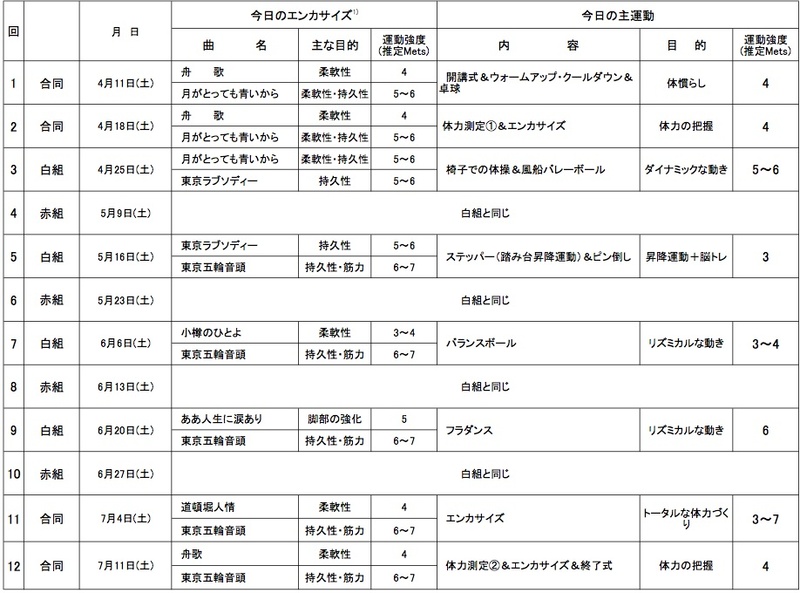 According to the results, we grouped the subjects into 3 cohorts in accordance with age, and 3 cohorts in accordance with the body strength at the time of starting, and compared the results for each cohort. At the completion time, for women, the cohort with higher age tended to be lower in grip strength, one-leg standing time with eyes open, and gripping bar reaction time (p<0.05, p<0.001, p<0.01). The grip strength for women was found to decrease as a whole irrespective of the results at the starting time (p<0.05, p<0.001), but as for the anteflexion in the legs-straightened seating posture, one-leg standing time with eyes open, and gripping bar reaction time, the cohort which was lower in body strength at the starting time tended to increase in ability, whereas the cohort which was higher in body strength at the starting time tended to decrease in ability. 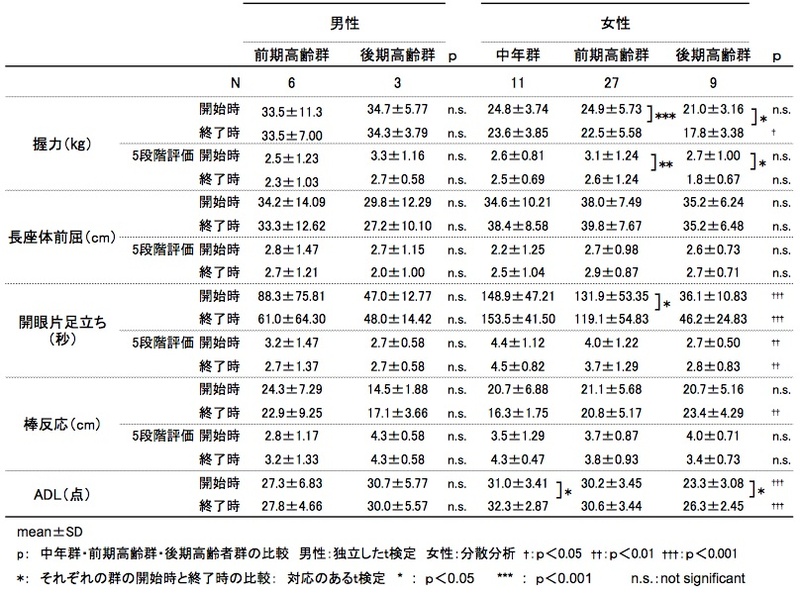 As for ADL, in women, the cohort with higher age tended to be lower in ADL, and both in men and women, the cohort which was higher in one-leg standing time with eyes open tended to be significantly higher in ADL (p<0.05, p<0.01, p<0.001).